Darrel's Playground is not a Registered Charity in Canada (therefore, we do not issue Tax Receipts directly for any General Donations), but we do fundraise to support many organizations , foundations, and institutions that are. As of July 2013, with your ongoing contributions, we have raised over $23,600 for childhood cancer research, and the funding of other programs of benefit to children in need (See List on "ABOUT US" Page). For those that are interested, please use the Link below to purchase a book ($20). If there is enough demand locally, I can place 1 large order to cut down on Shipping costs. The Mitchell Fraser Memorial Slo Pitch Tournament was last held on May 25, 2013 in Solina, Ontario. Their 12 year money raised for neuroblastoma research at the Hospital for Sick Children in Toronto total is $213,910.00!!! 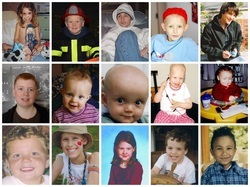 The James Fund works in conjunction with the Hospital for Sick Children in Toronto, Ontario, and is helping to lead the neuroblastoma research in Canada. Darrel's Playground assists the James Fund in several activities throughout the year. 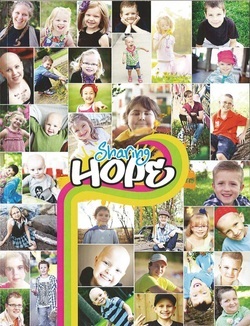 Childhood Cancer Canada has partnered with St. Baldrick's in the United States in promoting research into the various types of childhood cancer. Darrel's Playground has supported the Foundation through particpating in such events as "Cuts for Cancer" and the "I Know A Childhood Cancer Hero" campaign.